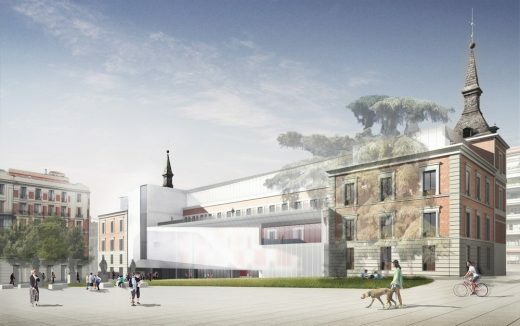 After an international design competition, this architects firm has released its design for the Museo del Prado’s new expansion into the Hall of Realms. The architecture practice was the only American firm on the final shortlist of eight teams asked to reimagine this former wing of a 17th-century palace, which was acquired by the Prado in 2015. All proposals will be on display at the Prado beginning on December 1, 2016. September 12, 2016 in Architects.